It's not everyday you have the number one box office star in your car. Actually, not any day for someone like me, Nova Sparks, a plain Jane hair stylist. And the real kick in the rear end? Not only will he be in my car, in a few weeks, he’ll be in my life— as my stepbrother. Fate has brought Ethan Hale into my small Montana world and kept him unattainable. How’s that for cruel? Now I’m stuck being near him. Stuck with the tabloids and paparazzi. Stuck with these feelings I shouldn’t be having. 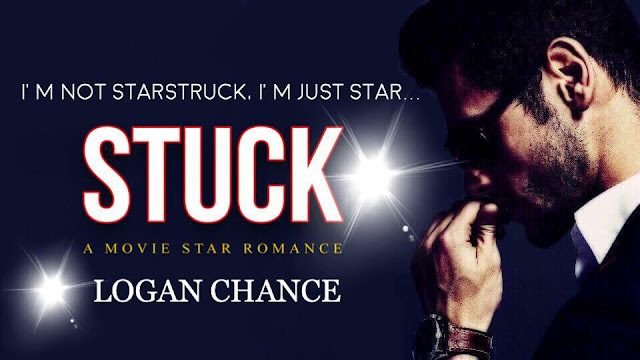 The only way to get unstuck is accept I can’t have him and send him back to Hollywood. Add to your #TBR: https://www.goodreads.com/book/show/38186587-stuck ? What a wonderful Book. Mr. Chance has given us a funny and romantic storyline with character that you’ll fall in love with. Nova is a small town girl whose mother is marrying Ethan Hale’s father. Who is Ethan Hale => He’s Hollywood’s latest heartthrob. But when Ethan arrives in Pity Falls, Montana, he’s nothing like the charismatic guy Nova’s seen in all the interviews. He’s arrogant and pushes all of her buttons. But even though it’s all wrong, these two have a definite attraction to one another. The author will take you on an amazing journey. The storyline will have you laughing, smiling and hoping for a happy ending. But is that even possible? He’s a big star, she’s a nobody and worse yet, their parents are marrying. 2 Thumbs up for a great book. It’s everything a heartwarming, charming, sassy romance book should be and one I Highly Recommend reading, you won’t regret it. 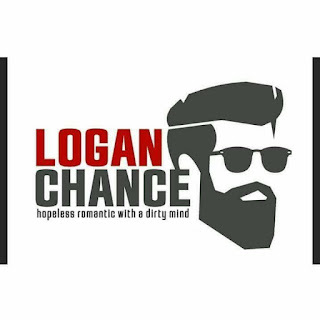 Logan Chance is a Top 25 Amazon Best Selling and International Best Selling Author. A Goodreads Choice Award Finalist 2016, with a quick wit and penchant for the simple things in life: Star Wars, music, and pretty girls. His works can be classified as Dramedies (Drama+Comedies), featuring a ton of laughs and many swoon worthy, heartfelt moments.